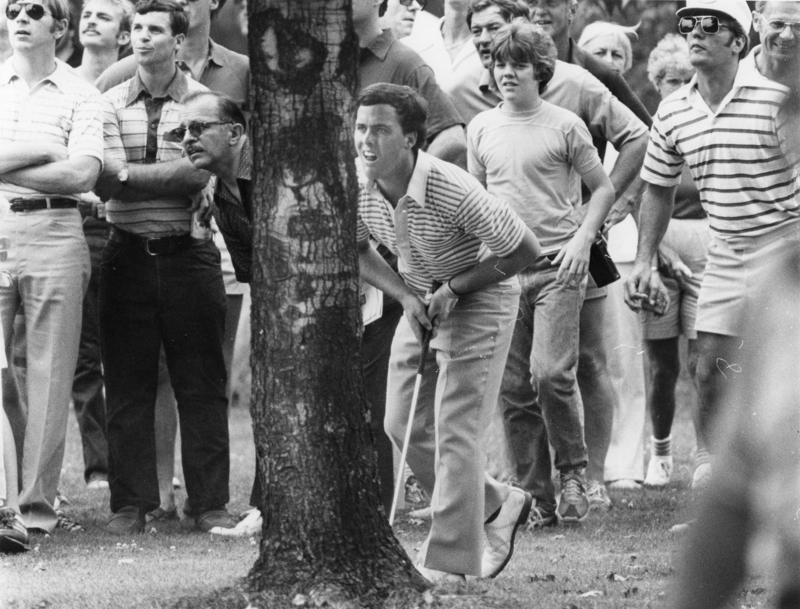 The history of golf in Western Pennsylvania is unparalleld as you might expect with Arnold Palmer being the brightest shining star in a galaxy of great players from this area. 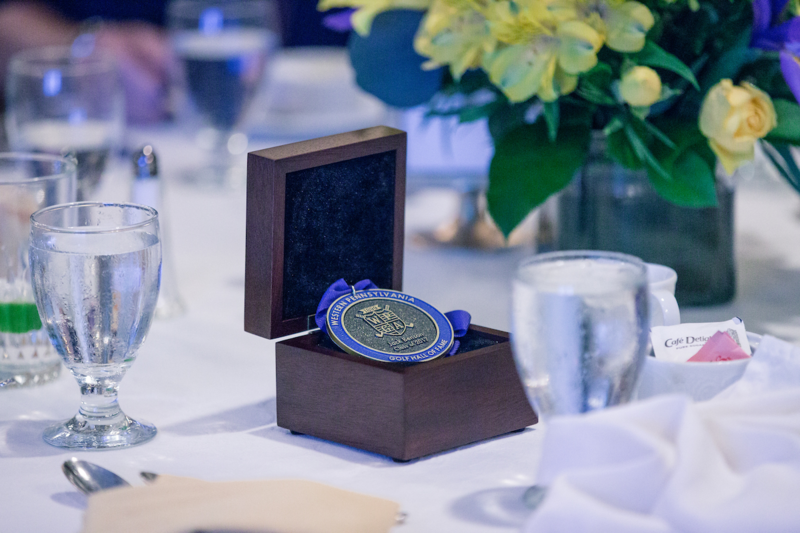 In 2013, a Hall of Fame was created to recognize golfers and contributors from the area who had an impact on the sport’s history here. The first class consisted of Palmer, William C. Fownes, Jr., Jock Hutchison, Carol Semple Thompson, and Lew Worsham. The West Penn Golf Association’s Hall of Fame Committee proudly announces the selection of four outstanding individuals as the Class of 2018 for induction into the Western Pennsylvania Golf Hall of Fame. Missie Berteotti, Henry C. Fownes, Emil Loeffler and Rocco Mediate are this year’s honorees as the Hall of Fame continues its mission of celebrating the game’s history in Western Pennsylvania by honoring those who have made an impact on the game, on and off the golf course. The Western Pennsylvania Golf Association’s Hall of Fame Committee has selected five outstanding champions and contributors to the game from the region for induction into the Western Pennsylvania Golf Hall of Fame. The Class of 2017 includes Jack C. Benson, Jr., Fred Brand, Jr., David Brown, Arnold Cutrell and Perry Del Vecchio. 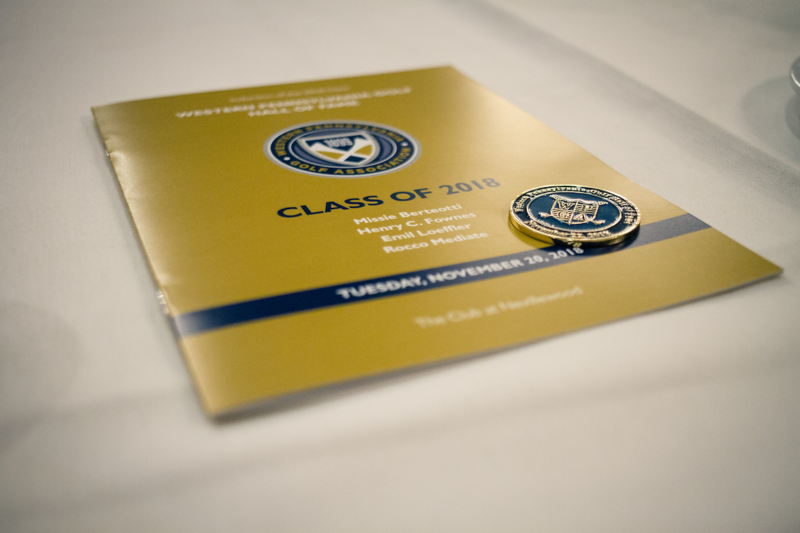 This year’s induction ceremony will be held at St. Clair Country Club on September 28. © Western Pennsylvania Golf Association 2019.